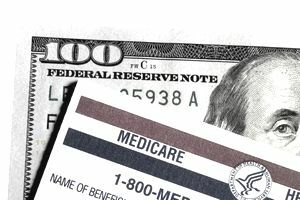 Should you apply for Medicare if you are still working at 65? If you already receive Social Security benefits when you reach age 65, you'll automatically get enrolled in Medicare. If you haven't started Social Security yet, but you're approaching your 65th birthday, now's the time to apply for Medicare. You can apply online or over the phone, although you'll need to pay attention to certain enrollment deadlines and plan details to make sure you've gotten your benefits set up correctly. The following guidelines will help you figure out exactly when and how you should apply for Medicare regardless of the details of your specific situation. What Do the Different Parts Cover? Medicare Part A covers hospital stays, while Part B covers physician fees. Medicare Part C, called Medicare Advantage, offers options for extra coverage that includes vision, dental and wellness care. You can only apply for this if you're already enrolled in both Part A and Part B. Medicare Part D covers prescription medications. In most cases, you should apply for Medicare when you turn 65. The open enrollment period starts three months before the month you reach age 65 and extends three months past the month you turn 65 (a seven-month window). Medicare can impose hefty financial penalties if you apply late, so it's best to make sure you enroll during your enrollment window. Here's how enrollment works depending on whether or not you already receive Social Security benefits. If you already receive Social Security benefits or benefits from the Railroad Retirement system, then you will be automatically enrolled in Medicare (both part A and part B) starting the first day of the month you turn age 65. You'll get your Medicare card in the mail about three months before your 65th birthday. It will get sent to the address on your Social Security records. You will automatically receive a package which contains important information about the decisions you need to make. For example, although eligible, you do not have to enroll in Part B, if you're covered under a non-Medicare insurance plan by your employer or a union. If you were supposed to but didn't sign up for Part B, you'll be subject to a 10-percent premium hike for each year that you skipped out on Part B coverage. Take the time to learn about Medicare Part B to determine if you should sign up. You should also check out the Medicare Enrollment Booklet which contains clear, concise information about both Medicare Part A and B, and can help you make a decision as to whether you should remain enrolled in Medicare Part B. If you are not yet receiving Social Security benefits or benefits from the Railroad Retirement system, you are eligible to sign up for Medicare three months before the month you turn 65, but your enrollment will not happen automatically. You must call or apply online; see the details below. It is to your benefit to sign up for Medicare Part A as soon as you are eligible, even if you still have coverage through a group health plan. Although eligible, you may not have to enroll in Part B, which requires you to pay a monthly premium. Spend the time to learn about Medicare Part B to determine if you should sign up; if you don’t sign up initially it may cost you more to sign up later. The links in the section below contain information that can help you make this decision. You can apply online or sign up by calling Social Security at 1-800-772-1213. If you're still working at 65, read on to find out how it works. Most group health plans require that you sign up for Medicare at age 65. If you aren't sure, check with your benefits department. Your group health plan usually becomes secondary at this point, with Medicare paying first, then your group plan paying second. At age 65, unless your benefits department specifically tells you otherwise, you should apply for Medicare Part A even if you are still working. If you did not apply for Medicare yet, do so as soon as possible. For those who did not sign up at 65, Medicare has an open enrollment period each year from January 1 to March 31. If you apply for Medicare during this time your benefits take effect July 1. Once you are over 65, you'll have a Special Enrollment Period provided to allow you to add Medicare Part B at such time as your group health plan benefits subside or go away. This situation may occur if you terminate employment after you reach the age of 65. At 65 you may have signed up for Part A, but not Part B. This occurs most often with someone who is still working and has access to a group health plan. Once you retire, you'll need to add Part B within eight months of the earliest of either the end of your employment or end of your group health coverage. This enrollment option falls under one of the Special Enrollment Period offerings. How Do I Get Health Insurance When I Retire? How Much of My Money Should Stay In Safe Investments?